OCRA gymnasts, representing West Devon, won team gold at the South West Rotary Youth Games in Dawlish in July. A fantastic performance by young people from all over West Devon aged 6-16 years who have been part of local “Get Into” sessions in 12 different sports. Join Team West Devon for the 2018 South West Rotary Youth Games, this year held at Teignbridge Leisure Centre, Dawlish on Saturday 7 July. We also need volunteers to steward, marshall, officiate and administer the event. There is a Café and also chill out areas on the site. To register your interest, complete the registration form at https://goo.gl/forms/zK9FFP1ibYKUVD6U2. 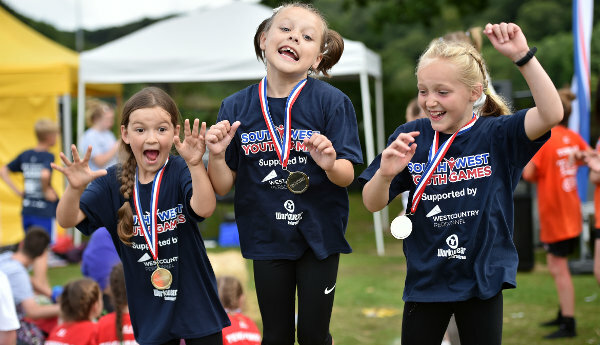 Join Team West Devon as we travel to Dawlish and surrounding venues for the next South West Rotary Youth Games.Last year more than 1,000 youngsters from right across Devon and Cornwall participated. Please complete the consent form for children participating in the Youth Games Day from West Devon in Dawlish on the 7th July. Devon Hockey Development Centres offer the chance to be part of TEAM WEST DEVON – Hockey at the Youth Games 2018 . This also has further development pathways to other opportunities for aspiring youngsters. Calling all youth wheelers – less than a month to get the West Devon team together for this years event on the 6th April.